The foundation of every content marketing strategy should be the business blog, so make sure that you set one up. It's on this blog that you can regularly post content to generate web traffic, increase your exposure and inform readers about your brand and what you have to offer. Write content that is helpful to your target audience and be careful not to be overly promotional. When maintaining a business blog, make sure that you post content regularly every week - on the same day at the same time. This way, your readers will know when to look for newly published blog posts. All of the content you create should end with a relevant call-to-action (CTA) that encourages readers to follow a link to a landing page, where they can sign up for a newsletter, download an eBook or perform whatever action you want them to. Without CTAs, readers won't know what you want them to do. To create an effective CTA, use action words like "download" or "contact," and words that provide urgency, like "now" and "today." Use strong, competitive keywords that properly describe what your content is about. These keywords should be used in your titles, headers, body content and ALT image tags. This ensures that Google will index your pages properly so that your target audience members have a better chance of finding your content in Google search. Social media is where content goes viral, which means that it's a great place to post new content that you've published on your blog in order to attract traffic back to your site. Content that you post can also be shared, liked and commented on by your followers. When they do this, the contacts in their personal social circles will be more likely to see your posts as well. 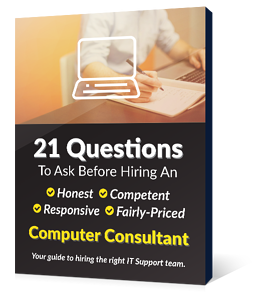 This, in turn, gives you a lot more exposure to potential leads. Keep in mind that you don't always have to post content that you've created. You can also post content that is relevant to your brand that was written by others. This shows followers that you care more about informing them about relevant subject matters than you do about attracting visitors to your website, which can help you build a positive reputation among the community. Additionally, you can build relationships with thought leaders within your industry by linking or sharing their content on your social channels. Just make sure that when you use social media, you're using the channels that your target audience is using. There are a lot of different social media platforms out there, you don't want to waste your time using the wrong ones. Remember that content isn't just the written word. People don't have the attention span to read through giant blocks of text, so be sure to include visual images that relay what you're trying to say. Consider creating video content as well, which most audiences have an easier time engaging with than text. 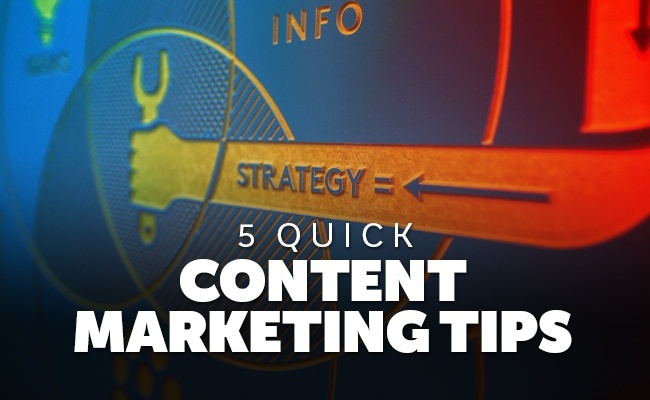 These are five quick tips that should help you strengthen your content marketing strategy. For more professional content marketing advice, contact us at EnvisionIT Solutions today.